Home > News > National > WHY DID OUR PRIME MINISTER FAIL TO CREATE 1 CRORE JOBS ANNUALLY? Has the government of India under the leadership of Mr. Modi failed to create one crore new jobs each year in India? The plain and straightforward answer is “yes” if we go according to the statistics on job creation issued by the government of India. We get a similar result if we consider the electoral promise of “acche din,” made by the prime minister of India. Forget creation of one crore new jobs, the overall rate of unemployment is at this peak during the rule of BJP-led central government. The employment fell in different sectors such as agriculture, forestry, mining, manufacturing, forestry, leather products post demonetization in November 2016 where 1000 and 500 note was banned. Thousands of people lost their lives during this period, and many lost their source of income as they were dependent on informal sectors. When asked about the lack of creation of jobs for the youth in India, our beloved prime minister suggested youth to sell pakoda. 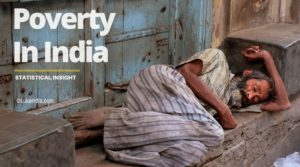 This post will briefly highlight some of the factors that are responsible for the failure of the Indian government in creating jobs for its employed youth. Our honorable prime minister, Mr. Narendra Modi promised the citizen of India that his government would create more than one crore jobs every year for unemployed youth. Nearly four years after being in power in the center, the government of India is a long way from creating the promised one crore job a year needed to keep up with growing unemployment rate in India post demonetization and GST. It is essential to understand that creating more than one crore jobs annually may sound good at an election rally but it is challenging and meaningless in a vast nation like India, which mostly depends on unorganized sectors, which was shuttered entirely due to demonetization and poorly implemented GST. A scheme like “Mudra Yojana” is just one tool in the form of a loan scheme and itself will not create a job for unemployed youth. Another scheme like “Skills India Scheme” launched by the government of India is too focused on creating jobs for skilled labor that is not able to meet the needs of industry. It is essential to understand to create jobs in India requires a bottom-up demand-driven approach. What is a bottom-up demand-driven approach? Empowering states via policy making is the job of the central government of India. In turn, the state’s government shoulder the responsibility of creating frameworks that will systematically train local individuals for the purpose of addressing the job needs of the local industries. In addition to resolving the problem of unemployment in India, this specific approach will also resolve another significant issue of inter-state migration. The point of inter-state migration is posing a particular threat to local demographics and culture. Without setting state-wise targets, the government of India had set a specific goal of creating more than one than crore jobs in India. It is essential to understand there was no seriousness shown by the ministry of labor in real data collection through surveys. The vision was unachievable from the beginning of the year 2014 without real-time and accurate data. Our honorable prime minister has failed to collect accurate and real-time data for creation of new jobs. Due to lack of precise data about the unemployment in different states, the government of India under the leadership of our prime minister failed to set a target and initiate proper reforms for the creation of the appropriate job for skilled individuals. A proper framework is required in order to set a target and create jobs for unemployed youth based on their educational qualifications. Currently, there is no such framework either present nor the government of India is planning to develop one. What framework should be developed for the creation of jobs based on educational qualifications? A framework that enhances the post metric education among individuals in India, especially rural India, should develop in order to create proper jobs for unemployed youth in the country of more than 125 billion people. In addition to encouraging youth to pursue the post metric education, the framework should also anticipate emerging skills needs of the youth to create jobs. The central, as well as state governments, should adopt polices to anticipate emerging skills for job creation. It is essential to have a framework that effectively enforces the necessary role of work-based learning and training to create jobs. It should also enhance the adaptability of workplaces based on different employment needs. The framework developed and implemented by the government of India should also promote the mobility of labor in order to create jobs. 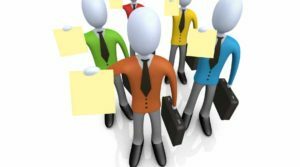 It is essential to understand that the employment exchanges present in the states have been reduced to issue employment card for government jobs. Majority of the employment exchanges present in different states of India even lack a proper website where unemployed youth (state-wise) of the country can efficiently enroll themselves and seek accurate information about jobs and vacancies in different government sectors. Majority of the employment exchanges in the country do not carry out any employment-related surveys. Moreover, they don’t record any employment-related information in their states. It is important for the government of India to immediately reform and upgrade the employment exchanges of the country state-wise so that they can provide online services and real-time information about the employment in their states to unemployed youth. What are possible reforms that could be implemented in the employment exchange? Every student after their SSC has to be enrolled in the employment exchange, which will be helpful in creating accurate and real-time data about the unemployment in every state of India. Each state should set up online employment exchange portal by which employers and unemployed youth can register online in a hassle-free manner by providing necessary information about them. The employment portal should provide access to all types of jobs available in each state along with qualification and skills required for applying for the particular kind of jobs. The government of India should make it mandatory for each state to upload all the vacancies on the online portal. It prevents corruption where unqualified people get jobs through unfair means (by paying a considerable sum of money). The portal must provide online services where employers can connect eligible employees based on their educational qualifications and merit. To avoid any corruption, it should be made mandatory for all government related vacancies to accept applications through online portals. People should be employed at the district level to assist unemployed youth in enrolling themselves in the portals and accessing information related to jobs or skill development courses online. It is necessary to assist people in using the online portals for jobs as a large number of educated youth in the rural India don’t know how to use the internet except accessing Facebook and watching movies on YouTube since the free data provided by JIO. Unemployed youth should be encouraged to attend skill development courses that could help them to secure jobs in the near future. These are organizations lead by employers involving representatives from educational institutions, government, workers (unemployed semi-skilled individuals), and employers. Skills sector councils can receive some additional funding from private sector members although they are generally publicly funded organizations. They provide a platform for the discussion of the skills-related challenges of specific sectors or regional areas. In addition, it can also provide a platform for the debate on the development of joint policy responses. Recommendations on education and labor market policies can also be provided by such organizations. It is important to understand that such recommendations can be general or it can be definite to a certain region. It can also be very specific to a government sector or training institution and its programs. One of the primary tasks of such organizations is to monitor the labor market in the relevant sector carefully. Based on their observations, they can forecast which skills will be needed for the creation of jobs in that sector. Skills sector councils in India are involved in the provision of training thus efficiently and significantly translating their industry-specific learning and knowledge into skill development training courses. National Skill Development Corporation promotes skills sector councils at a national level, where each cabinet has their well-developed websites. It is really unfortunate that this government had put less emphasis in the development of more skills sector councils in India. Apart from creating course curriculum, these councils should be required to collect local-level information about the demand-supply of labor and growth in a specific sector. Short and long-term courses can be developed by using the data collected by these organizations. It will ensure continuous as well as the uninterpreted supply of skilled labor. 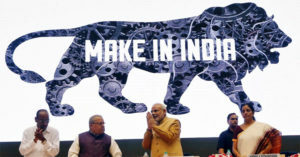 According to a report by NITI Aayog on the ease of doing business, it was reported that business firms in India, especially in labor-intensive sectors, find compliance with the labor-related regulations, which translates into small-business firms avoiding the labor-intensive sectors. Moreover, those who indulge in labor-intense sector usually employ migrant labor on a contract basis. It makes it easy for them to employ the semi-skilled labor and lay-off without facing the consequences of the labor union. Majority of the labor-intensive industry in India discourage the formation of the labor union of the semi-skilled labor who worked in their organization, industry or firm. It usually gives them unilateral powers of deciding the fate of their employees. The importance of the labor union in an industry is felt recently when a multinational IT firm in India has recently layoff a number of their employees. To encourage companies to promote labor unions, it is essential for the government of India to make it extremely hassle-free and easy for small and medium business enterprises in India to comply with the labor laws. The labor courts have to dispose cases on a fast track basis. The government of India under the leadership of Mr. Modi seldom focuses on labor reforms in this country. They strongly believe in trickle down the economics of the country. In the hope that this will trigger the economic growth of the country and create more employment, the government of India provides incentives and subsidies for small, medium and large businesses. 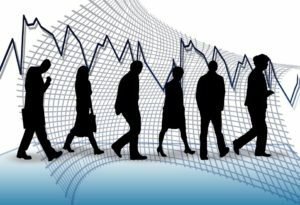 The rate of unemployment will be low due to the mass migration of semi-skilled labor from one state to another as they are often hired on the contract basis with no job stability and security. It is structured education and training program that efficiently and formally combines learning in the workplace with learning done in an education center. The apprenticeship policy of the government of India is in urgent need of reform. Such training programs in India helps to efficiently bridge the gap between the industries and the unemployed youth who have come fresh out of their respective colleges or universities. It is essential for the government of India to make these programs and enrollment accessible to unemployed online by using their mobile devices or computers with internet connection. With less than a year time in the election, it is less likely than any new reforms will be made by the government of India to create new jobs for unemployed youth in this country. Apart from creating new jobs for the unemployed youth of the nation, the policies of demonetization and poorly implemented GST has destroyed the informal sector of India. Many people have lost their jobs due to specific policies of the central government of India in last four years. 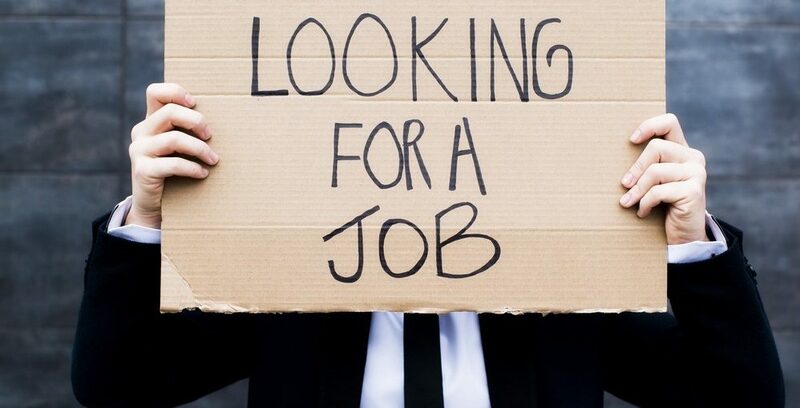 If the government of India did not start focusing on creation of jobs for unemployed youth instead of playing the religious polarization of youth to win the election of 2019, then we will have a unprecedented number of unemployed youth who will have no choice but to sell “pakoda” or to migrate to other countries or states in search of jobs.